A down-to-earth and chuckle-worthy conversation on everyday topics with a Franciscan friar from Duke University. 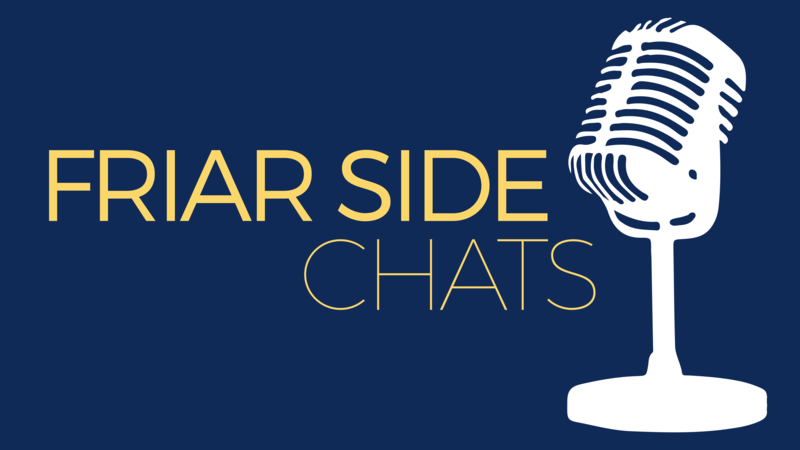 You can listen to Friar Side Chats on Soundcloud, iTunes, or your favorite podcasting app. Let us know which episodes are your favorite and what you’d like to hear more of! Struggling with forgiveness? This chaplet is a great prayer to use if you are trying to find the strength to forgive someone who has hurt you. We recommend a few in particular: The Four Signs of a Dynamic Catholic, Rediscovering Catholicism, and Resisting Happiness. 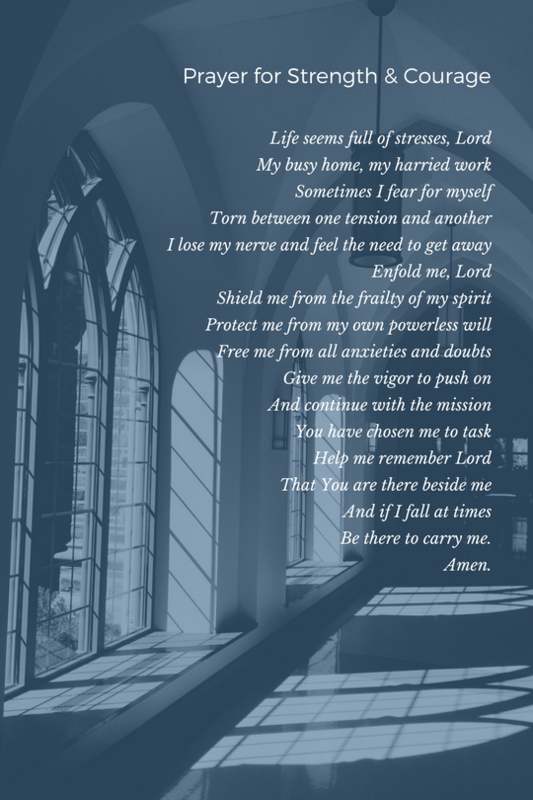 If the pressure at Duke or your job is wearing you down, Xavier University compiled an incredible list of prayers for calm that you can use to recenter yourself and cool off. For those who don’t know what they want do, are feeling overwhelmed by the job search, or otherwise need some guidance, Duke offers career counseling. They have resources for alumni and grad students, too! If you would like to come on the show, or know someone who might be a great guest, let us know! 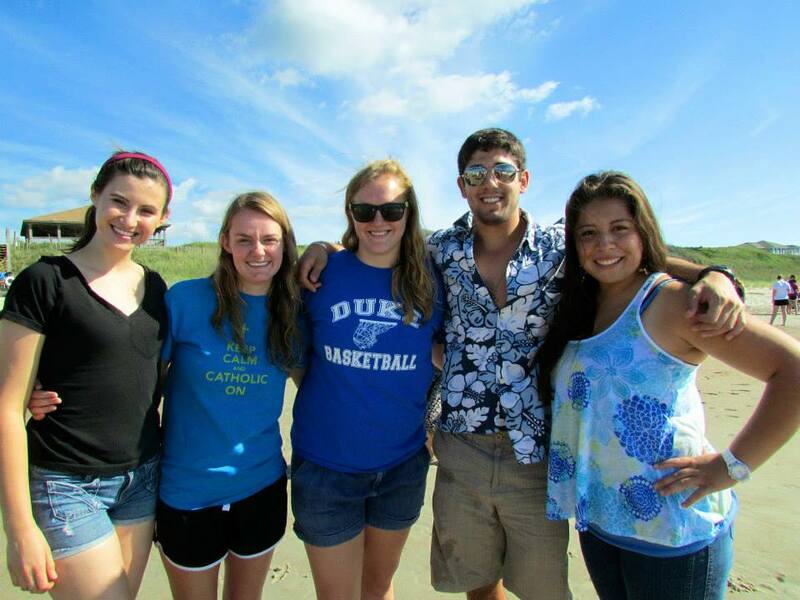 You can contact the team by sending an email to erm13@duke.edu. It can be all too easy to allow ourselves to neglect our prayer life and relationship with God over the break when there’s no longer a routine to our days and we feel like we deserve our break from responsibility. Here’s a helpful way to stay on track with your prayer over the break. Or for those of us who worry about making everything perfect or making sure things run smoothly amongst your family, we really like this FOCUS post on Christmas perfection. And if you feel like you’re burnt out on Christmas tunes, try this curated Catholic Christmas playlist for some fresh feels. If you’re interested in a more in-depth theological examination of the Eucharist, this article does a great job explaining a complicated topic in simple terms. Father Mike mentioned Lawrence Kohlberg’s theory of stages of moral development. It has broad applications to our lives, so if you’d like to learn more, click here. This episode was suggested by a listener! If you’d like to hear more about a topic, send in a suggestion to erm13@duke.edu. The video that started it all! What if we applied that same energy and eagerness to our relationship with Jesus? Self care on the highest level! Find the Litany of Humility here! It’s one of our favorites and always a great prayer to work into your life regularly. We also like this blog post. It’s got a lot of similar messages but is still an encouraging read! Not convinced retreats are for you? We’ve got ten reasons why you’re probably wrong. 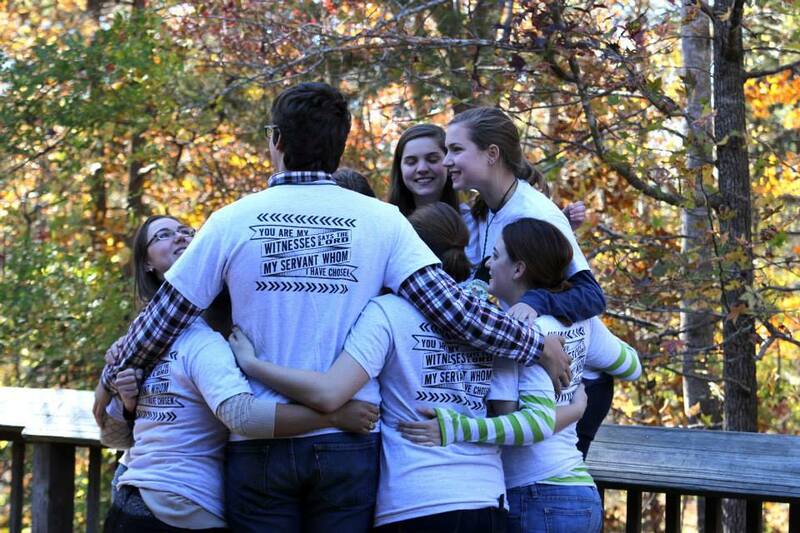 If you’re a current student, check out the DCC’s retreats! 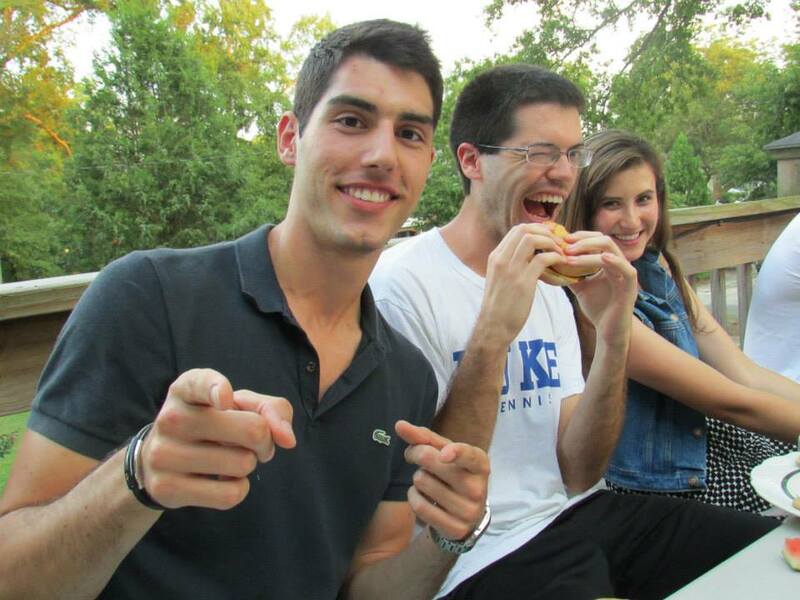 They’re a great way to get to know fellow Catholics at Duke. 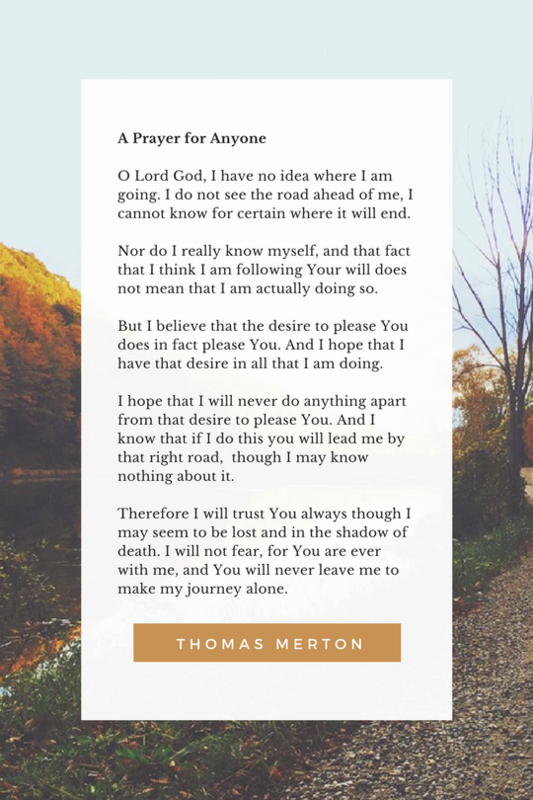 We also love this prayer of Thomas Merton’s for anyone going on a retreat, coming back from a retreat, or even just considering whether to attend! If you’re interested in hearing another insightful opinion on this topic, Father Mike Schmitz has an incredible video on how he has chosen to respond to the scandal in Pennsylvania. Bishop Barron is another of our favorites here at the DCC, and this Q&A with him is very helpfully practical, too. If you or anyone you know has been the victim of sexual abuse within the Church or elsewhere, there is a wide variety of resources available to you. The United States Conference of Catholic Bishops has a page with steps you can take, the completely confidential National Sexual Assault Hotline can be found here, and Duke itself has plenty of resources that exist for students. If you’re trying to choose which Bible to buy–there are so many choices!–this website has an excellent guide for finding which translation best suits your needs. Unsure of how to start engaging with scripture? Join a Small Group, where you will learn how to pray with scripture and just generally improve your prayer life. As promised, here are some of our favorite Bible passages. 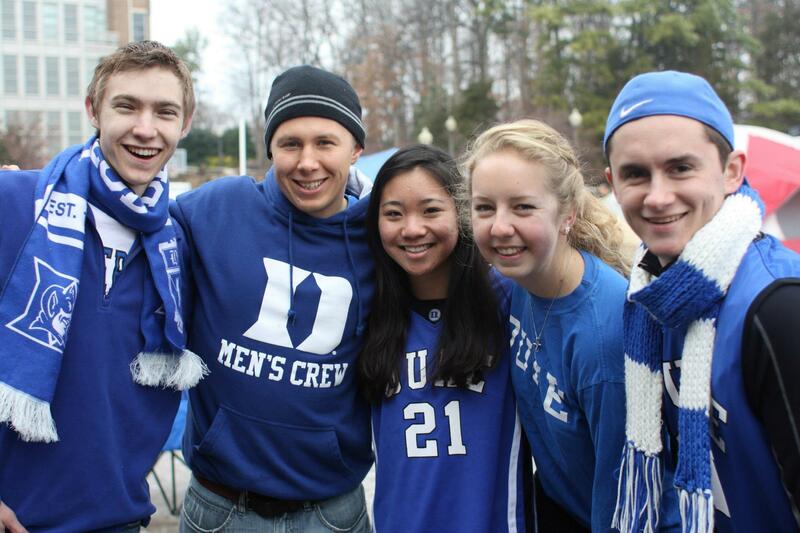 Feel free to email us at catholic@duke.edu to share some of your own! Lastly, just wanted to share some of the resources we each mentioned as helpful for us when praying with Scripture: Fr. Mike’s favorite Bible, Emma’s favorite book for praying with the Gospels, and our favorite podcast/app/website for guided prayer on Scripture. We love this runner’s perspective on having a plan to reach your goals — and what you need to keep in mind along the way. We also talked about better appreciating and engaging with the sacraments. There are definitely links below for Mass and Reconciliation, but this video with Bishop Barron gives a great deeper perspective on our baptism. And what about retreats? Do we really need them? Here’s a case for why we do need that spiritual reboot. Lastly, we can’t leave you without this downloadable PDF of our Strategic Plan! Pin it on your desktop or somewhere you can be reminded of these important components of life as a disciple. This whole episode is about the newest apostolic xxhortation or “Papal pep talk” as Fr. Mike put it. If you’re interested in reading up on it, we’ve got the hook up straight from the Vatican herself! One thing we tend to hear when striving towards holiness is to look to the saints. They are an excellent example of holiness, and we should emulate their lives. We think to ourselves that being like the saints is nearly impossible, but it honestly isn’t! Great saints like St. Augustine have much more in common with us than we think! One of the beautiful parts of the exhortation and main topics in this episode is on living out the Beatitudes. If you’re looking for a more in-depth take on the Beatitudes check out this analysis by Doctor of the Church, St. Augustine of Hippo! It’s true: sometimes we lean on emojis because we can’t express ourselves well enough. Without nixing emojis completely, we can still take some steps to improve our daily communication with one another. Fr. Mike shared his desire to invent an emoji that communicates the mercy and love of Jesus. Check out this homily given Bishop Robert Barron at World Youth Day 2016’s Night of Mercy. What do you think might adequately represent that message of mercy? The use of emojis allows us to be creative with our words and how we communicate with one another. Sure, writing a message in all emojis isn’t the work of the next Picasso, but it’s worth thinking about the many ways we can bridge faith and art in our everyday life. Have you ever considered that some of the OG Catholic emojis may just be the mosaics and stained glass windows around the world? Did you know that the foundation of FIFA has its basis in the Catholic faith? Check out this article that shines a light on one of the founders and longest standing president of FIFA. We found this cool article from the Odyssey about a college girl who shares the reasons why she is proud to be Catholic. And we’ve got some recommended reading for those wanting to dive a bit deeper: God’s Not Boring by Fr. Cedric Pisegna, C.P.. Fr. Cedric digs into prayer, the Holy Spirit, healthy self-image, and more — all to shed light on how we can take ownership of and get excited about our faith! It may not seem easy to live out your faith at work when you might be the only Catholic in your workplace. But we love this helpful list that provides some concrete ways to live out your faith at work! Discernment doesn’t have to be word that is connected to choosing religious life or getting married. You can discern your career path with the same intensity! Check out this cool article on how you can discern your career path. This is an awesome prayer if you have questions or concerns about where you should go next in your career path. We found this awesome list of scripture quotes that would make awesome prayers for your journey. A prayer you can repeat at the start, on each day, and at the end of a vacation! 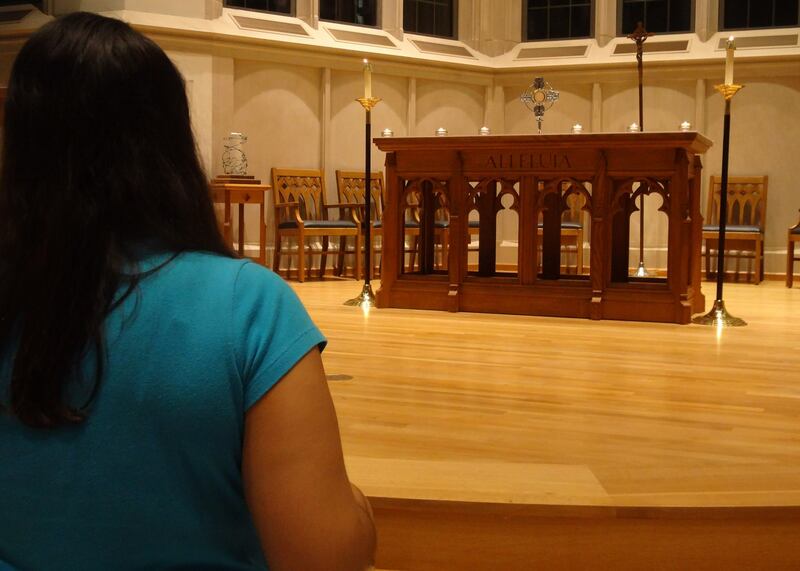 Draw inspiration from this Yale student who leans on her rosary for comfort during her travels. What religious imagery, prayers, or other reminders will help keep you grounded in your faith no matter where you find yourself? If you find yourself having a difficult time staying engaged in the Mass, here article from Catholic Company that contains 9 tips that can help curb mass distractions. We noticed this video by Fr. Mike Schmitz about motivation to go to Mass. We LOVE his videos, it’s like spiritual direction on demand! A relationship with Mary can really help bring us closer to Christ. 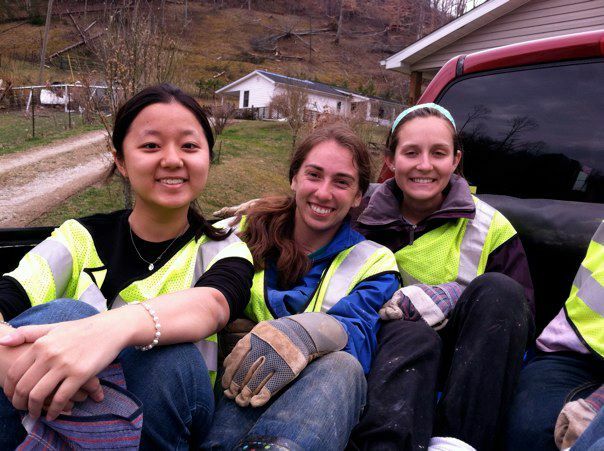 Here’s one college student’s story on getting to know Mary and how you can, too. Don’t yet know how to pray the rosary? No problem! Here’s a how-to guide with a little more explanation, or you can print out this straight-forward PDF. #34 | Got Post-Lent Guilt? Emma and Fr. Mike talked about the “Prayer for Anyone” by Thomas Merton. Check it out, it’s one of our favorites! Did you do your Alleluia homework? Just in case you haven’t yet… here you go. If you want to keep your Lenten penance going after Lent, great idea! The pope agrees with you that we should carry forth our Lenten attitudes to our entire life. 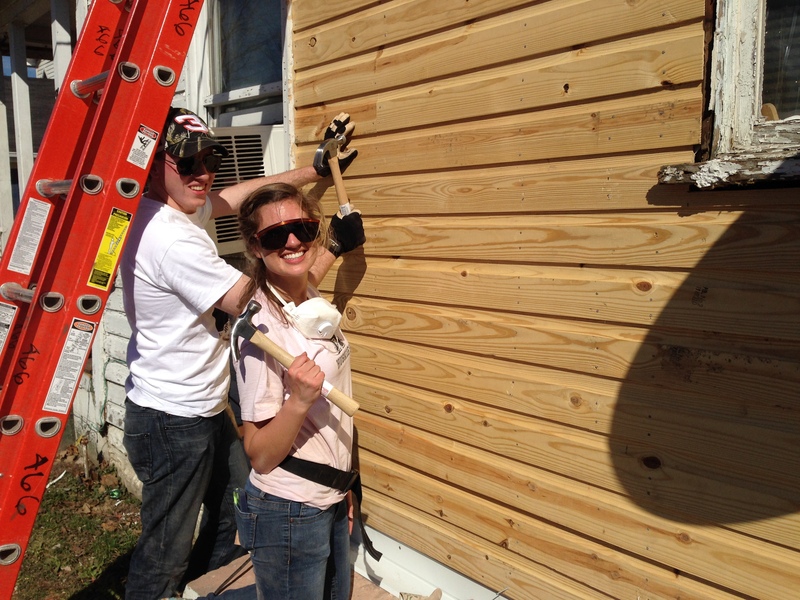 Interested in walking the Stations of the Cross? Join the Duke Catholic Center Friday, March 22, 2018 at 6 PM beginning on the Duke Chapel Quad! Gary Jansen wrote a great book on he Stations of the Cross called Station to Station: An Ignatian Journey through the Stations of the Cross. Check out an interview with him here! Here’s a little something if you are interested in how walking the Stations of the Cross began – it’s a fascinating story of persistence in the face of adversity! Not sure you can attend a communal Stations of the Cross? Find the prayers here! Even alone in the quiet of your home, a chapel, or nature, praying the Stations is an incredibly powerful experience. For a great perspective on the effort we need to put into almsgiving, look no further than this article about the importance of giving to others. Enjoy the podcast format of Friar Side Chats? Here’s another podcast by Bishop Robert Barron (one of our favorites!) that takes a close look at the three pillars of Lent and how to incorporate them into our lives. Oh, and if you realized you really need to get on your budgeting in order to determine what you can give regularly, we recommend EveryDollar! You have to account for every dollar in and out. There’s so much to be learned from other faiths around the world. Islam, Judaism, Buddhism, and just about every other religion have a traditions of charity just as rich as Christianity’s, and each has a lot to teach us about how to donate to others. To learn more about the basic pillars of Lent and how you could dive into each of those, check out our Lent 2018 page. Looking for new and exciting ways to celebrate Lent? Check out the DCC’s 40 for 40! It’s full of cool ideas for trying new things and cutting out bad habits. Great little video by Fr. Mike Schmitz in which he explains where the observance of Lent came from (the Bible), clarifies why Catholics observe the season, and shares how it can make a difference in our lives. If you are interested in a theological and historical look at Jesus’s fast in the desert and Lent in general, Bishop Robert Barron has a brilliant homily on the topic. Lent is the perfect time to go deeper into the theology of the Catholic faith! To prepare for Lent, take a look at Pope Francis’s beautiful words on how to properly approach the season and make the most out of it. The purpose of Lent is to grow closer with God, and that should be our number one priority during the 40 days. Besides curtailing our social media practices, we can also transform our experience by adding in some positive, life-giving sources. Here are some we recommend across various platforms and media types! Did you know the DCC has a playlist of solid (actually good) Christian music to help draw you nearer to God? I personally love this Insta account for daily saint quotes to inspire my life. Or maybe this Insta account for Catholic women. If you’re a podcaster, definitely check out Catholic Stuff You Should Know, The Catholic Feminist, or the Word On Fire Show by Bishop Barron. Some of us may have more issues with social media than others. If that’s the case for you, I recommend checking out this helpful piece on the impact of obsessive social media use and how to take steps to improve. An awesome, closer look into that idea of “virtuous friendship” that Fr. Mike talked about. 10/10 recommend thinking deeply about this! Along the (cheesy but true) lines of “Jesus is your friend,” we often actually do forget about the hundreds (thousands!) of men and women who are our very real friends and are rooting for us every day. Here’s how you can tap into the great resource of friendship that our brother and sister saints offer. This short post on being Catholic and going Greek is great for all women rushing or already in Greek life. With an episode that pulls from so many past recordings, we encourage you to think about which episodes this year resonated with you and take a look through the show notes below. Everyone loves Christmas, but most of us don’t find the lead-up, Advent, as exciting (well, except for all the chocolate in your Advent calendar). In this video, Father Mike Schmitz offers a new way to approach Advent in order to prepare yourself for the beauty of Christmas. The narrative of the birth of Christ is one of the most famous stories in the world. Father Bishop Barron’s sermon on this topic gives the necessary historical information to truly understand this story for what it is: the beginning of a revolution. As interested by Father Mike’s brief summary of John Duns Scotus’s philosophy as we were? Here’s a quick summary of his life from a Franciscan perspective that gives a good overview of his most revolutionary ideas. Father Mike Schmitz takes a close look at what motivates us to cheat in relationships, and how to respond to those temptations. Duke cognitive science professor Dan Ariely wrote a fascinating book (read an excellent review here!) called “The Honest Truth About Dishonesty,” which explores the ways in which we lie to ourselves and others. We definitely recommend checking it out. Cheating is everywhere, and Duke is no exception. As recently as two years ago, Duke got national attention for cheating in its CompSci 201 class. It’s too easy to fall into the trap of cheating at a high-pressure school like Duke, but we need to recognize that temptation for what it is: a lie to ourselves and Christ. And BTW, confession is a great time to bring any dishonest experiences into the light — don’t fear judgment from the priest! We can’t encourage you enough to seek out forgiveness and absolution through the sacrament. If you’re looking for a way to bring your faith to Thanksgiving, look no further than this article on a variety of Catholic traditions that we can incorporate into our celebrations. Maybe you’re not the best off-the-cuff pray-er yet. Don’t stress! We have some great prayers of thanksgiving for you to bring to the table this Thanksgiving. Definitely be bold and volunteer to lead your fam in prayer if it’s not currently a tradition — you can do it! Struggling with fear of failure? This article has plenty of strategies for dealing with perfectionism. 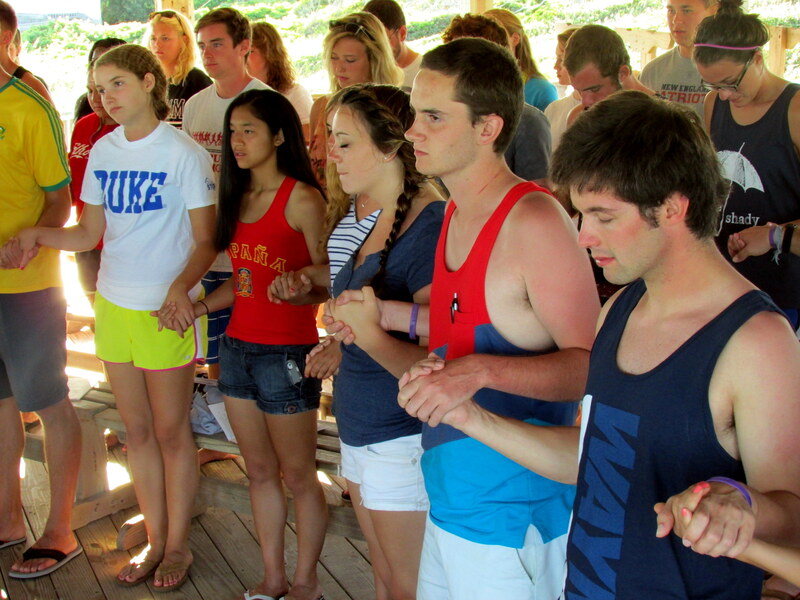 Prayer During Stress About Success in Academics by Brendan Farmer (Duke ‘13) is a great prayer for overcoming the fear of failure that permeates classes at Duke, and realizing that true success in all things lies in God. Prayer for Strength and Courage is an inspiring call to overcome what stands in our way through our faith in God. 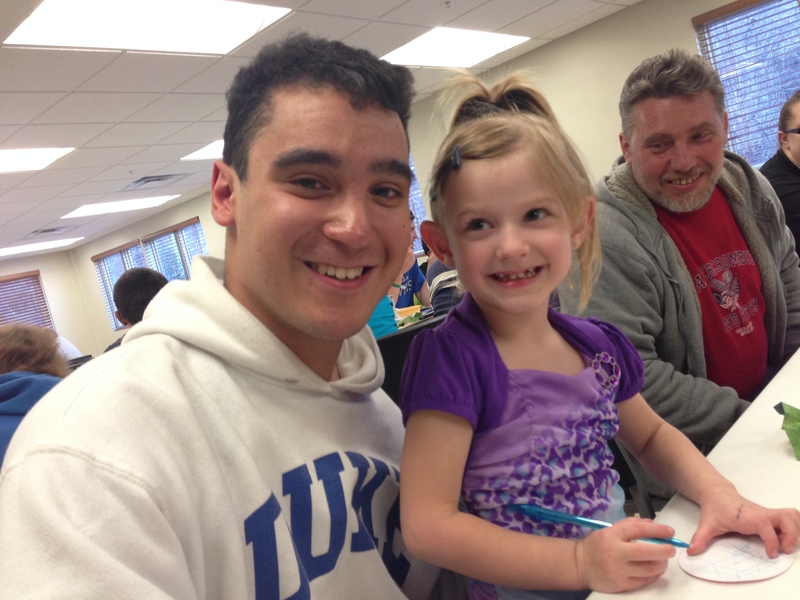 Interested in introducing your family to Duke’s Catholic life over Family Weekend? 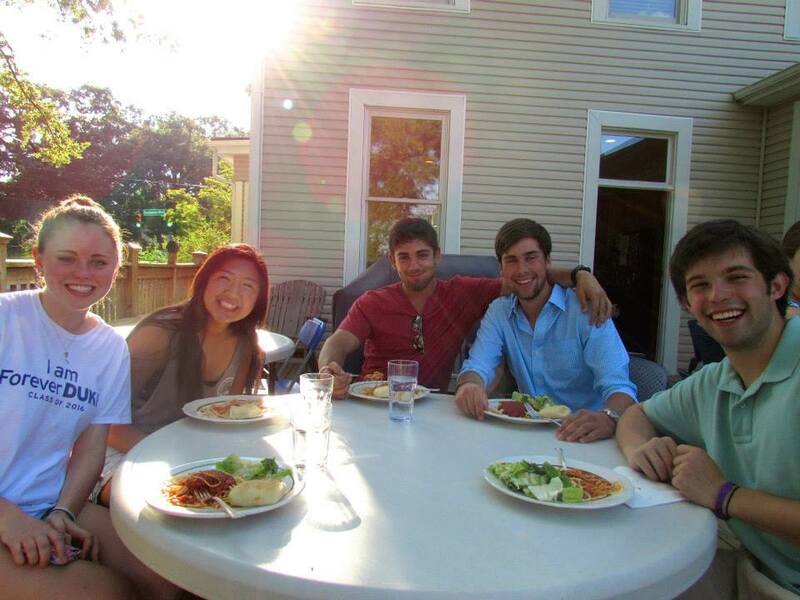 Come to the Catholic Center’s mass and brunch this Sunday! How should we use our faith to inform our family relationships? Dr. Gregory Popcak discusses, in a great two part series, what makes Catholic families different and what Catholic families often look like. Check out this article on the Holy Family if you’re looking for a model for your own fam. Check out Formed for an in-depth look at the life and story of St. Francis, told in the very place he grew up! Learn more about Franciscan lifestyle, vocations, and history in the Conventual tradition (the same kind as Fr. Mike and Fr. Brad). St. Francis set the bar for loving his neighbors, but even moreso for those considered his enemies; see how he was able to preach the Gospel at the height of the Crusades! #20 | Coach Cutcliffe: What Defines You? 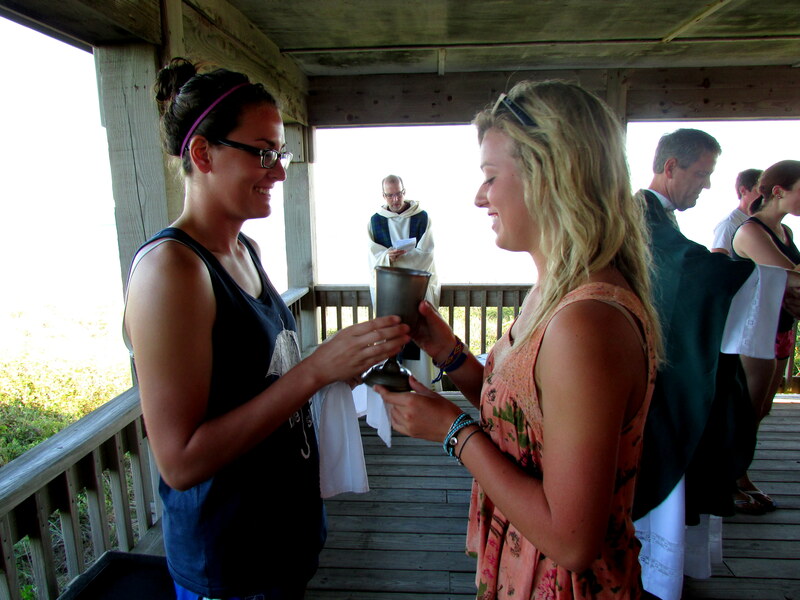 Curious about other Catholic athletes and how they live their faith? Here’s Chargers QB Philip Rivers talking about his own faith in the public sphere. Are you an athlete looking to encounter Christ more regularly? We have an 11:30 a.m. Mass on Thursdays at the Yoh building; all are welcome! Calling all football and lacrosse players! There are two bible study groups to fit your schedule: email Terry Lindsay for the lax group and Tim Skapek for the football group! Psst, also, here’s a great little piece: Who Decides Who You REALLY Are? One of Duke Divinity’s best professors (now retired) has a message for all first-years. We love it. 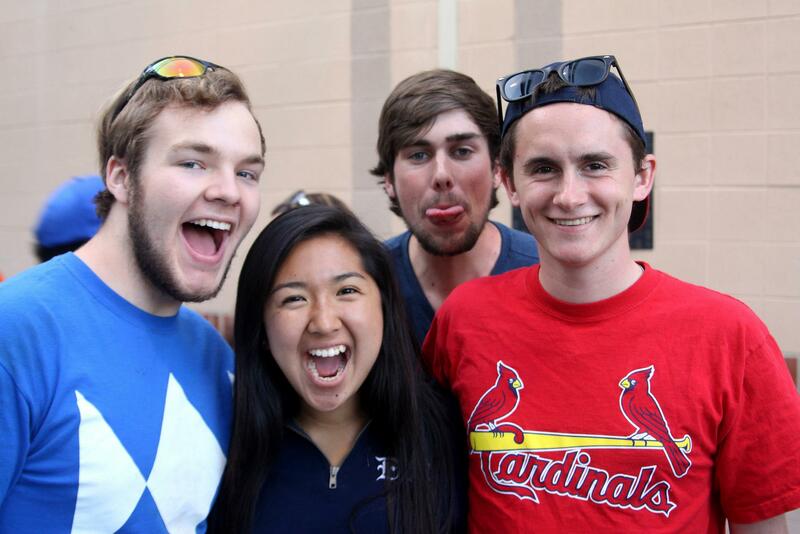 Freshman year can bring so many exciting new experiences, especially in your spiritual life. 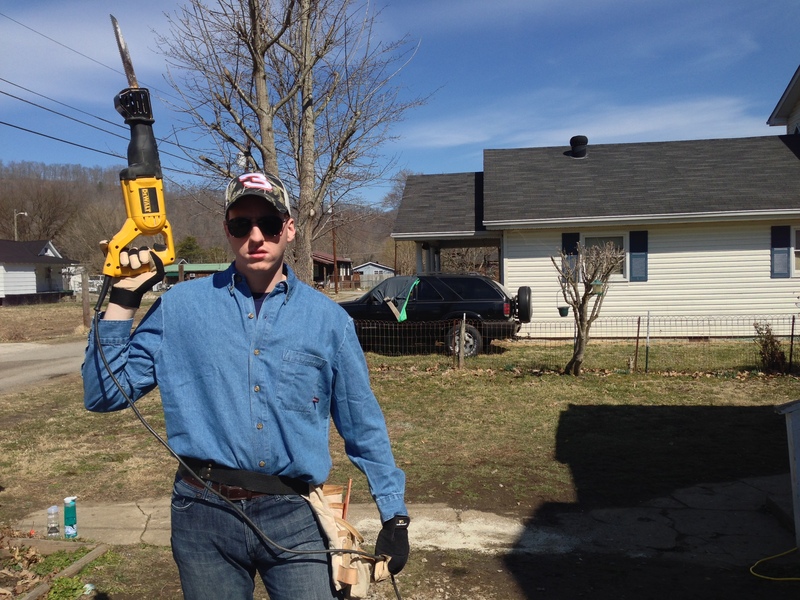 But sophomore year can sometimes feel less vibrant, and a spiritual slump can happen, too. Here’s an awesome piece on 5 Things to Remember When God Seems Silent. 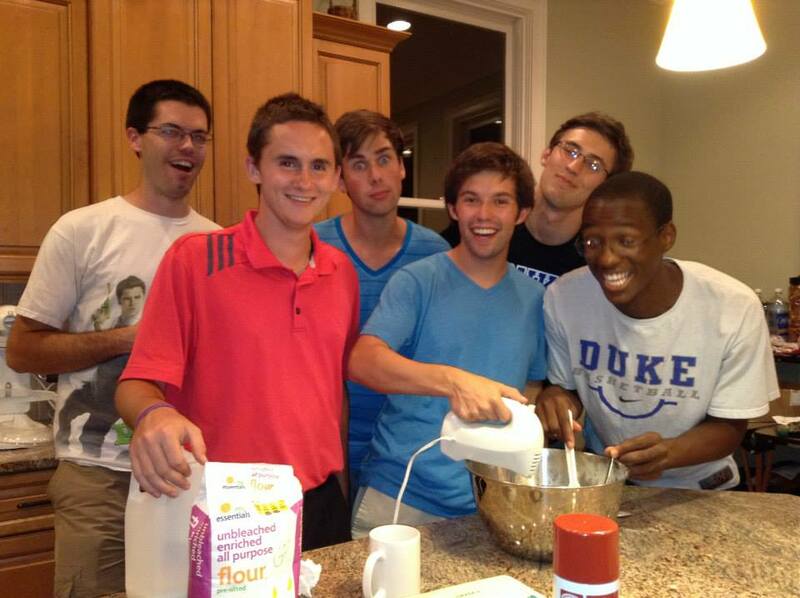 For juniors both abroad and at Duke, diving into the Catholic podcast world is a GREAT way to keep growing in your faith, no matter where you are. Here are our top four recs — besides Friar Side Chats, of course! For students of all year, but especially for seniors, the new school year marks the perfect time to begin forming spiritual habits you want to carry with you into the “real world.” Number one recommendation from us? Join a Small Group where you will learn how to pray with scripture and just generally improve your prayer life. Check out this trailer for a great documentary (which has been a mainstay must-watch on the staff) on the sugar industry. Want to pray on the run? Download the Laudate app on your phone from iTunes or Google, and add some prayer to your workout. Big news: since we don’t have a central office, the tabernacle is now present in Memorial Chapel! Check Duke Chapel hours so you can spend more time with the Lord. Did Fr. Mike get you thinking about complaining? Here’s an article to get you think even more! 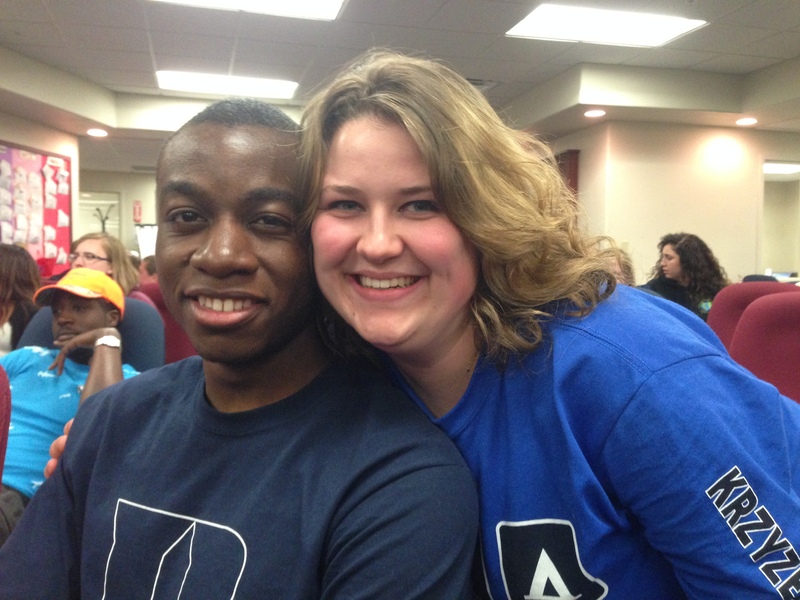 Evan and Emma will be in the Chapel Basement, Rooms 044B and 040 respectively. Our business office with Ruth Anne Kennedy and Michelle Sutton will be in Smith Warehouse Bay 4, second floor. I LOVE THIS GUY. And this video of his on praying with Scripture is pretty great. Maybe you’re more of an infographic person? Well, if that’s the case, here is a more visual breakdown of that same type of prayer, lectio divina. A brief, relatable look at what it means that we are called to be Priest, Prophet, and King. The prophets have a TON of wisdom to share, reflect on, and help build up your prayer life. I like this guy’s reflection on his favorite Scripture passage from the prophet Isaiah. In case you wanted a little more info on that Thomas Jefferson and John Adams friendship-turned-bitter-enmity-turned-friendship-once-again. And in this time of political divide, here’s another thoughtful look at what it means to love your enemies and pray for them. An awesome podcast or website (whichever medium you prefer!) to guide you through praying the daily reading. Super simple way to learn how to pray with scripture and to make sure you’re encountering Christ each day this summer. Literally use this every time we’re in a new city, wherever you are in the world. So easy to find Mass and Reconciliation opportunities. Def wanna bookmark this. The podcast Catholic Stuff You Should Know is great! A lighthearted exploration of both prominent and obscure Catholic topics. The FOCUS Blog has tons of great posts geared toward college students (but which we in the office still find very relatable and helpful for our own spiritual lives, too!). #12 | Happy Birthday, Catholics! Pentecost, the birthday of the Church, reminds us of our call to carry the Good News out to the world. Check out Fr. Barron’s post “How to Preach Like the Apostles” for some additional thoughts on carrying out that mission. Still not sure how to begin praying to the Holy Spirit? Don’t stress! You’re not alone. 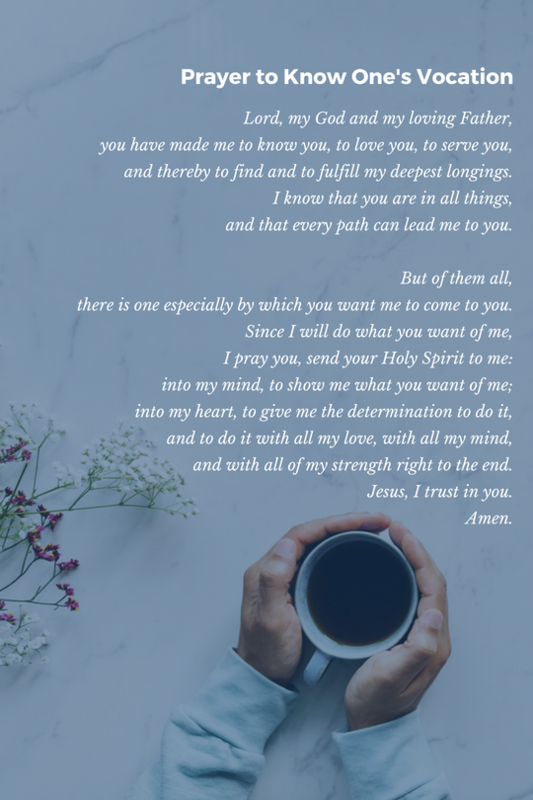 We like starting out with these simple prayers, and really taking our time meditating through each line. Whether you’re a graduate and moving on from Duke, or spending the summer to working/boosting your resume/traveling/spending time with family, we believe that coming up with a game plan for the real world (and the Duke world, too, tbh) requires fear-free decision making! We guarantee, if you really take these three keys to heart and put them into practice, your plans will begin to take shape and you’ll definitely find more peace. #7 | No Regrets… Right? 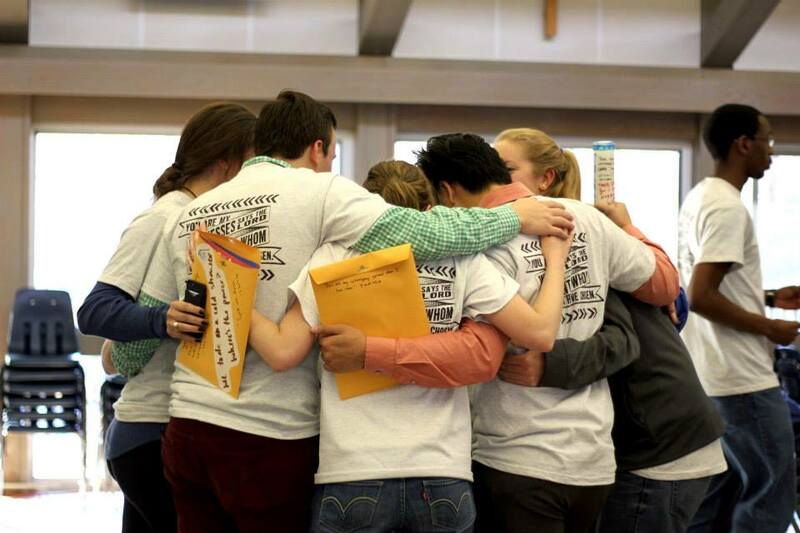 Reconciliation during the academic year is so easy to find! Every Wednesday night at 9pm in Goodson Chapel, and every Thursday afternoon from 12:15-12:45pm in the Chapel Basement offices. Fr. Mike and Fr. Brad are also happy to make an appointment for reconciliation any time! Simply email them to set it up. We also very strongly recommend the Forgiven series on FORMED.org. Enjoy any or all of the three part series, and reconnect to God’s mercy! To find out how to watch the series, we have login instructions for you.